The unexpected objects you find when wandering in a labyrinth! The labyrinth I’m talking about is the one I described in my last post, where I’m lost in passageways trying to understand Deleuze and Guattari’s Anti-Oedipus. The ‘found objects’ include a book that arrived in the mail at the end of last week (Kathleen Stewart’s Ordinary Affects) and something I wrote about 15 years ago. Both seemed surprisingly connected to the D&G concept I’m trying to understand at the moment: the three syntheses or functions of part-objects as desiring-machines. So far I’ve been writing about the first two, the conjunctive synthesis of production (the instinctual and libidinal) and the disjunctive synthesis of recording (something to do with consciousness, I think, manifested in memory, dream, noticing). This second synthesis is disjunctive in that it blocks or redirects flows, it pushes the flows back on itself, and therefore accounts for difference. I’m getting a vague sense that the third synthesis (the conjunctive synthesis of consummation/consumption) has something to do with the formation of a sense of shifting identity, but I’ll come back to that later; that’s still in another passageway in this labyrinth and I haven’t got there yet. Instead, I’ve ‘found’ some objects. Kathleen Stewart’s book is surprisingly welcome. D&G are so theoretical, so conceptual, and I struggle to bring it down to a level where I can really get my head around it. This is what Stewart’s book seems to do. It talks about the ways in which flows and energies are made visible in recognisable moments, in everyday events, in ordinary affects. It has some theoretical positioning, but much of it is made up of description of scenes: two bikies come into a restaurant, their presence has an immediate affect, stories are told, life’s flows and energies take on new directions. It all seems like an earthed commentary or illustration of sections of Anti-Oedipus. So that was the first ‘found object’. Then, yesterday, I came across a bundle of notes from my PhD days; I must have written these notes in around 1998. Amongst them are 17 aphorisms I wrote while trying to distil what I felt I was learning from my psychotherapeutic encounters with a client I called Peter. Again, the shadow of D&G seemed to hover over these aphorisms, though I was only vaguely aware of who Deleuze was at the time. A metaphysical distraction: Too much concentrated searching for the ‘thing-in-itself’, the reality behind the appearance, leads away from what is, from life. Working with the dreams: Trusting that a dream expresses an essence or aspect of a person’s current state, appreciating the dream for its aesthetic beauty and symbolic aptness, and being prepared to speak out of this trust and appreciation are all possible and helpful; revealing to the dreamer the dream’s meaning is neither. Play: To much earnestness, too great an iron focus on getting to the essential meaning of things, gets in the way of the most important therapeutic activity, which is play. Awareness of the hidden: Knowing that there is something hidden is more important than knowing what it is: being restlessly aware that all is not being revealed allows an energetic encounter and the possibility of an animating outcome whereas a belief that the truth has been fully (or even essentially) revealed and described drains the life out of the therapeutic encounter. Sitting with the tension: My uncertainty, the necessary ambivalence I feel towards Peter’s impulses, moods and reticences, contributes to a developing tension which threatens the efficacy of the therapy and at the same time gives it a potential life which the two of us can share and make something of. Aspects and essences: Aspects and essences of a person reveal themselves in anecdotes, body language, voice inflexions, facial expressions, dreams, fantasies, pauses and play, and above all in the interactions with the social world, in the points of contact which are the successful and failed attempts at relationship with people and other objects. Beginning a Masters or a PhD is meant to be a deadly serious business, and in obvious ways it is. It will be a major preoccupation and devourer of time. It has implications for how one lives one’s life (for a while, at least), and therefore has implications for living standards, work-life balance and important relationships. It inevitably will involve significant sacrifice, struggle and uncertainty. So one had better be sure before one begins. It’s a serious business. But the necessary sense of seriousness can be taken too far, especially if it circumvents play. Play, we know, is an essential part of all significant learning. We have to muck about with ideas, try things on for size, imagine possibilities, experiment and take risks, even pretend. My daughter once wrote scores of pages in ‘fairy writing’ before she knew what the letters were (and is now a lawyer involved in deadly serious trials). Too often, this leads to tension, stuckness and a deadend. Because the candidate never had the chance to play. What does play mean in this context? Lots of anxiety-free conversations and writing about possibilities. Lots of thinking about what the candidate loves and fears, what moves and disturbs the candidate, and what might be fuelling the impulse to become a scholar. Permission to imagine, and experiment, and to wonder aloud without the candidate worrying that he/she is revealing his/her knowledge gaps or indulging in foolish fantasies. Time. Lack of pressure. Play. These things are not easy to make space for, given the pressures. But it’s out of this space that the really serious work can grow. When I did my Masters, and then my PhD, I had no idea really why I was wanting to spend all that time ‘away from the real world’. I knew there was some unconscious impulse, that it felt right in some hard-to-define-or-justify way. My supervisors, all of them, were happy to give me time, and I took it. I mucked around in the world of ideas, I let one idea or author lead me to another, I meandered for a long time. When it was time, my supervisors asked me to think about refining my research question, about being explicit about a theoretical lens and an emerging methodology. But they didn’t rush this. I finished both Masters and PhD in the required time frames, without a sense of undue haste or of avoiding the inevitable complexities. I was given time to play. This second way of living in the world is recognised as illness in psychiatric terms. I got an iPad for Christmas and have spent the past couple of weeks playing with it. I’ve downloaded dozens of apps, some of which I think will be useful (iThoughts, Evernote) some of which are just beautiful (Flipboard), and others which will sit unused until I get round to deleting them. I’ve played table tennis with my son and chess with my nephew, then watched two of my family members play digitized Monopoly. I’ve created an iThoughts mindmap of some of the characters of the novel I’m reading (War and Peace), and then a second to organize my thoughts about work for 2012. I got carried away, for several hours, by my discovery that I could import images into iThoughts, and so imported scores of them, some of which were simply aesthetically pleasing and a few which actually conveyed something of the concept or task I was trying to illustrate. I’ve been begun to populate my new Evernote account with websites and documents, and covered a Goodreader documents with dozens of meaningless annotations, just to see what can be done. I keep discovering stuff I want to tell my family about; occasionally they’re infected by my enthusiasm but usually they’re mildly amused. I’ve been like a little boy in a sandpit. 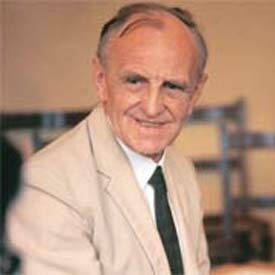 For Donald Winnicott, British psychoanalyst and writer, play mattered. Play, said Winnicott, is the process whereby we learn, and where the self is formed. It’s where the inner world of a person is brought into healthy relationship with the outer world of external reality. This describes very nicely the playspace created by my engagement with the iPad: transitional, exciting, experimental, connecting inner preoccupations and interests with outer possibilities and affordances. The therapist’s task, said Winnicott, was to help the patient to play. We might extrapolate and say that this is also the teacher’s task: to create the space where the student can make connections between the emotion-charged and highly significant inner world and the realities of the external world. In three weeks, our students will arrive at university for their 2012 teacher education units. This year, some of the classes will take place in our media-rich Inspire Centre. As teachers, we will have pressures to ‘deliver’, and the students will feel the pressure to comply. Will we have time to play?